At Toucan Spanish School new classes start every week, at all levels. Our Group Spanish Classes (20 hours/week) are small & intimate giving you personal attention, the opportunity to practice & enough time to have all your questions answered. Likewise we also provide Private Spanish Classes for those people who prefer lessons at their own pace. We don’t teach from outdated books, we use our own curriculum. Classes focus equally on grammer, listening, writing and speaking and with an emphasis on practical Spanish and Spanish for travel. Our experienced teachers are all young & friendly and encourage you to speak Spanish from day one. Our students are all ages and all nationalities, in fact more than 5,500 students from 77 countries have chosen to study Spanish in Colombia with Toucan Spanish. Study Spanish in Colombia with Toucan and receive the complete Colombian Spanish immersion experience. Our philosophy is not just about teaching Spanish, it’s about giving you the tools to create memorable life experiences. In addition to classroom learning we often take you into real life environments to practice what you're learning. We offer students daily cultural activities including a traditional welcome lunch, salsa lessons, language exchanges, football games, cinema, cultural talks and volunteering opportunities. You’ll also get to experience the famous Colombian coffee and taste some delicious tropical fruits. At Toucan Spanish you'll learn about Colombian culture, make friends and have plenty of opportunity to practice Spanish along the way. At Toucan Spanish we give you the option to learn Spanish in Colombia in three cities with no additional fee to switch between schools. 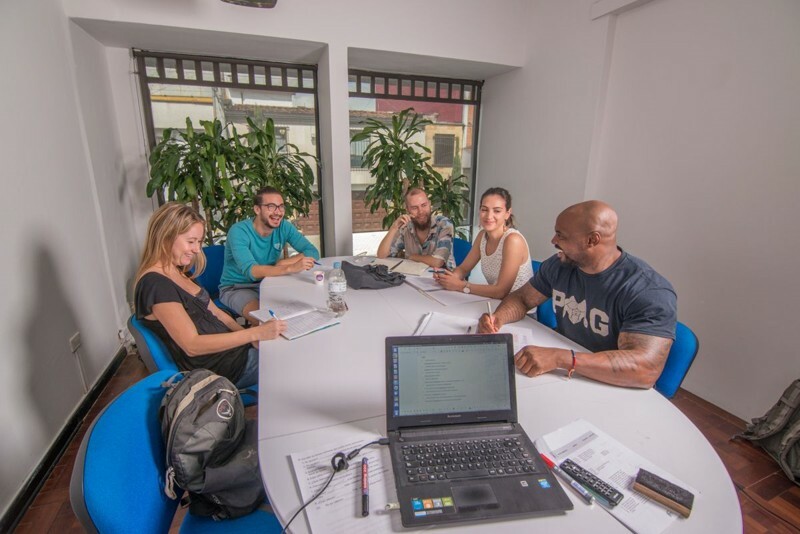 Our headquarters are based in Medellin where we're the largest independent Spanish School in Colombia and as such we're able to offer classes at all levels from total beginners to advanced. Our second school is located inside the historic walled city of Cartagena, close to historic sights, hostels and of course the beach. In Bogota we based in Chapinero, close to Zona T, the main shopping and entertainment district.